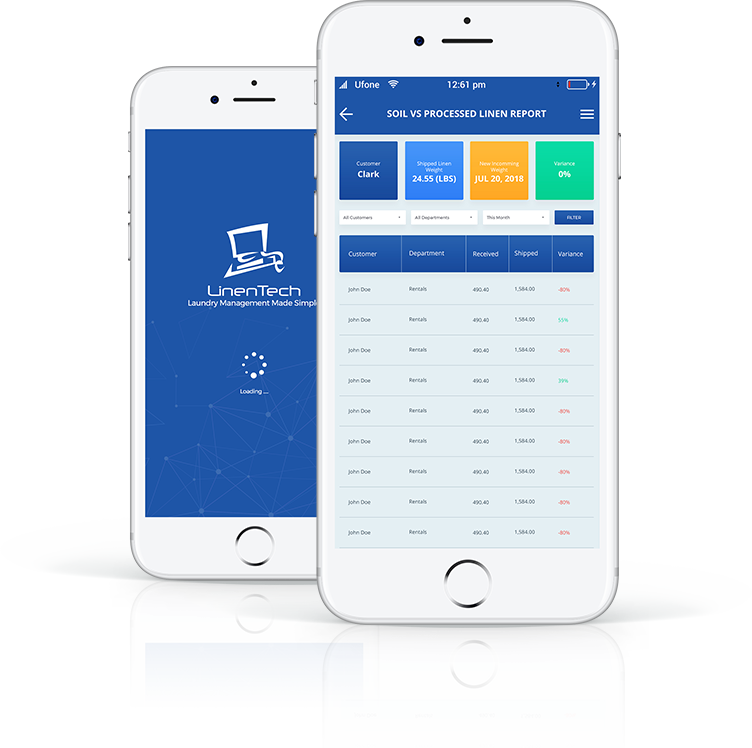 With Linen Tech’s Driver app, the laundry drivers have access to various features that help laundry managers streamline and optimize their pick up and delivery operations. They software also covers multiple key requirements for Linen Rentals business. View daily pickup and delivery schedule for the routes assigned to them. View packing list by each customer. Get the delivery manifests and pickup manifests signed on their phone or tablet. Email the signed delivery manifests to customers from their phone. Laundry manager can track the exact time of linen delivery/pick up for each customer. Scan carts being picked up from the customer location. Laundry manager will immediately get an SMS as well as app notification with the number of carts being picked up from the customer location. Complete rental order management by restocking par levels, creating delivery manifests, and invoicing customers using the phone or tablet. Make it mandatory for the driver to scan all carts at the time of delivery for each customer. Using this feature, you can ensure that customers receive the exact number of carts that left the plant and also that customer A does not receive carts for customer B. Create routes and schedule linen pickup and delivery for each route. Assign drivers to delivery routes. Track time linen was dropped off and picked up from each customer location. Generate packing reports for each delivery route. Always know the exact location of your drivers on the manager app. Plant operators and drivers can now send system generated SMS and App notifications to the customers when the linen leaves the plant. SMS notifications include the time linen leaves the plant and a link to the delivery document with complete details on item quantities, linen weight, and the number of carts. Plant manager can also receive System Generated Mobile App and SMS notifications when the driver picks up carts from the customer location. The plant manager gets complete details on the number of carts being picked up and the pickup time.